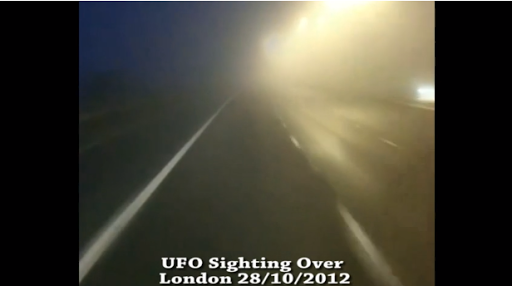 A UFO sighting on Oct. 28, 2012 was recorded on video in London, England. The footage of the unidentified flying object lasts only a matter of seconds. It is 22 seconds long to be exact. The video shows a view of a highway or other multi-lane road as seen through the windscreen of a moving vehicle. Along the right side of the image, oncoming traffic can be seen. Since the sky is dark, the vehicles all have on their headlights. Illuminated streetlights can also be seen at regular intervals above the roadway on the right. 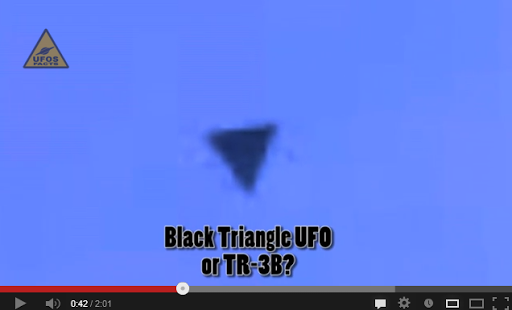 Are UFOs real or secret aircraft of the USA called TR-3B. The UFOSFACTS edited and converted both videos in HD for a detailed analysis and came to the conclusion that it is distincts object seen at 2 years. 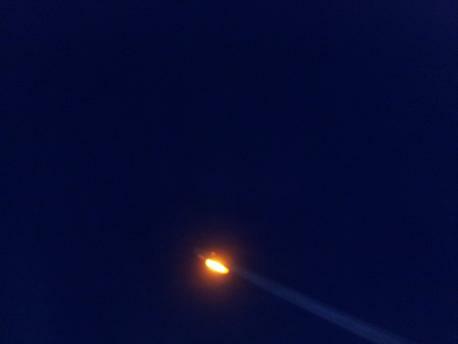 This burning ball of light was spotted speeding across the night sky above Cross Roads. The image was captured by theatre nurse Jeanette Bray on a mobile phone, outside her Myrtle Drive home. Now Mrs Bray is appealing for anyone who can help shed light on the mystery object, which was seen at 8.58pm on Friday, February 15, to come forward..
UFO OVER AVALON MARSHERS SIMILAR TO METEOR IN RUSSIA? Captured over the Avalon Marshes nature reserve at Shapwick Heath last Wednesday, these pictures of a curious light in the sky have many people baffled. The pictures were snapped at the bird sanctuary by Annie Henderson who lives on the Somerset Levels. Unlike the usual blobs of light, which can be explained away as the contrails of distant jet aircraft, Chinese sky lanterns, weather balloons or passing satellites, the distant light appears to be burning up with flaming gases shooting off its form. Annie said: “We were out photographing the starlings at 5.25pm and saw the bright thing in the sky, but thought it was just a high flying plane or a satellite. Annie, who is a wildlife photographer, only had a small lens with her for her Sony DSLR camera. But she still managed to pick out the strange shape in the sky. Is it something entering the Earth’s atmosphere such as piece of space debris or a meteorite? 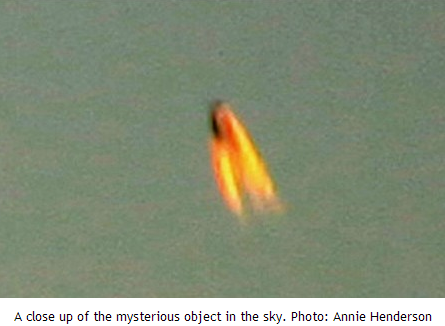 We would love to hear from you if you have any idea what the object in the sky was. Documentos liberados pelo Governo Britânico mostram evidências concretas de avistamentos no Reino Unido. Uma Luz estranha chamou a atenção de um morador da cidade no início da manhã sobre Farnborough Hants Hampshire UK em 24 de janeiro de 2013. No vídeo vê-se claramente uma 2 luzes, sendo que uma delas some e continua apenas uma mantendo a mesma posição e altitude. Veja no vídeo a seguir.